A fresh face is always a complement to a beautiful smile. 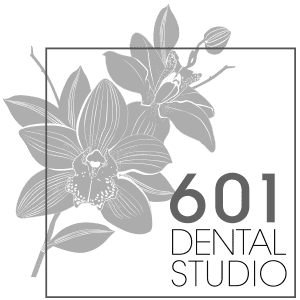 At 601 Dental Studio PA, Dr. Nadja Horst offers Botox® and other aesthetic procedures to help you gain confidence and radiate a youthful glow. Serving people in and around Pembroke Pines, Florida, (servicing surrounding areas such as Miramar, FL., and Cooper City, FL.,) Dr. Horst offers Botox procedures that produce natural-looking results and can enhance your dental work, no matter your age. To get started with a personalized consultation, call the office or book an appointment online. As one of the most popular facial aging reduction solutions, Botox® Cosmetic is designed to limit the excessive muscle activity that causes wrinkles. When you smile, frown, or make other expressions, your muscles can compress the skin in the surrounding area to communicate emotion. This movement can eventually lead to the formation of lines and creases. By temporarily halting muscle contractions, Botox injections smooth the skin around the eyes, between the brows, and along the forehead. Dr. Horst and her team are extensively trained in this procedure to minimize the risk of a “frozen” appearance and achieve a natural-looking outcome. She aims to provide you with the safest, most comfortable experience possible. Botox is a temporary enhancement, and most patients enjoy more youthful-looking skin for about 4-6 months. If you love the result, you can extend the effect with occasional maintenance injections. After the treatment, you may experience some initial redness or bruising at the injection sites, but these effects should subside quickly. People typically resume normal routines following the appointment. Benefits should begin to appear in perhaps a few days, with full results in about two weeks. Botox and other injectable cosmetic enhancements are one of the safest ways to instantly transform your appearance and improve the look of your face. Botox can address a wide range of skin concerns, and it’s a fast and easy procedure. Botox is a good option for patients who want to give their looks a quick boost without invasive surgery or time-consuming procedures that require extensive downtime. As a complement to dental work, Botox can enhance the appearance of your smile and give you a fresh, radiant, and youthful-looking face. With Botox, you can fill in fine lines, deeper wrinkles, and even transform the appearance of saggy eyes. Dr. Horst makes sure your treatment plan is designed to give you the best-looking and longest-lasting results possible. To schedule an initial consultation about Botox, call the office today or make an appointment using the online booking tool.